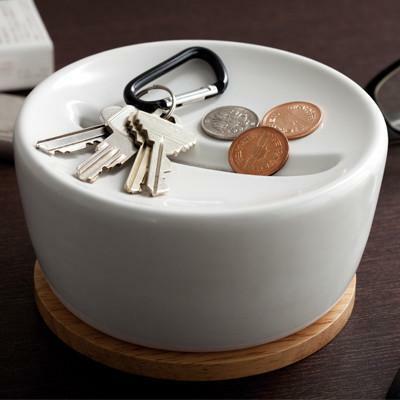 A clean living storage accessory for keys and coins. The coin storage combines simple design and form with functionality A useful coin bank and tray in-one concept is a must item especially for those who tend to forget where they placed their keys, glasses, or carry change in their pockets. 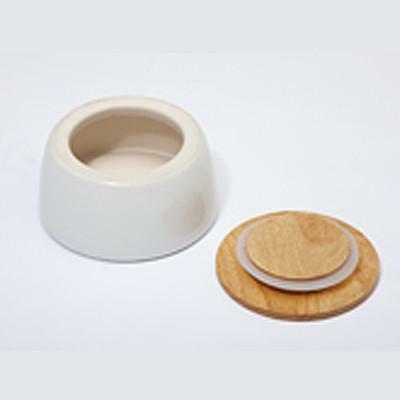 What makes this product even more appealing is the combination of wood to give it warmth and softness to an otherwise cold and hard ceramic material. 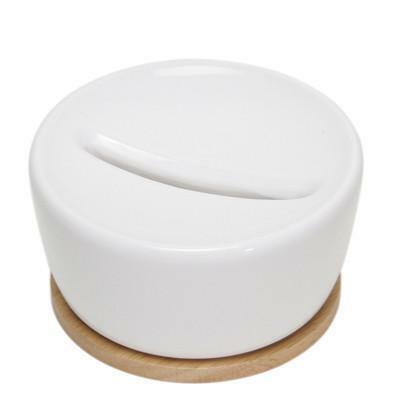 The bottom lid can be removed to take out the coins or whatever else that may have slipped inside.